from H-Net Reviews.org: In the world of the occult, Russia, formerly known as the Soviet Union, seems to be rarely mentioned. 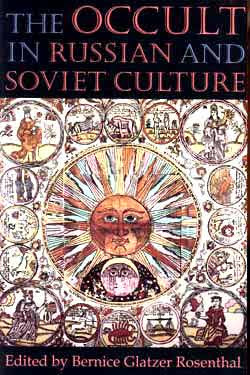 From a Cornell University press release entitled The Occult in Russian and Soviet Culture, "contributors explore the varieties of occult thinking characteristic of prerevolutionary Russia, including Kabbalah, theosophy, anthroposophy, and the fascination with Satanism. Other contributors document occultism in the cultural life of the early Soviet period, examine the surprising traces of the occult in the culture of the high Stalin era, and describe the occult revival in contemporary Russia. The volume includes bibliographical essays on Russian occult materials available outside Russia." Reviewed by H-Net.org, Shoshana Keller weighs in: (in PDF file) "I have often felt frustrated by fleeting references in books to Freemasonry, theosophy, mysterious Tibetan doctors, and other whispers of magical practices in Russian culture. Generally historians have not (until recently) bothered themselves with such things, which pale in importance alongside the larger political and economic upheavals of the nineteenth and twentieth centuries. But as the authors in Bernice Glatzer Rosenthal’s admirable anthology demonstrate, not only are magical and occult beliefs of interest to anyone who wants a deeper understanding of Russian culture, they had a greater impact on recent Russian history than western rationalists may feel comfortable acknowledging."